Today I am doing something for the very first time as I am doing my first post on the road here at CES. Right now, I am in a slow moving line, waiting for a bus to bring me to the Las Vegas Convention Center. My brand new Droid X is giving me access to this blog, but I cannot see what I am typing as I go. After I typed the first paragraph, I lost track of the words as the keyboard took up most of the screen, and never could successfully get back to them. This is sadly a failed experiment. Right now, I am continuing this blog at a party at the Venetian sponsored by Lenovo on one of their desktops. 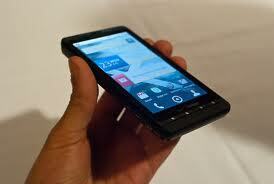 Granted, I will have to say that the Droid X is a terrific smartphone. I don’t know if there is any saying about “once you go Droid”, but there really should be. I enjoy the all the features including the Android Market, and, as you may have guessed, I am addicted to Angry Birds. I also find the 8.0 Megapixel camera to be quite good, and it is easy to transfer the files from the included 16GB SD to my computer as the Droid X charges via USB. I wanted this report to be written on my smartphone to celebrate my Droid X, but I am a little disappointed that I can’t do the work that I normally do on a laptop from my smartphone. However, smartphones just aren’t made for surfing the web like we do on our desktops or laptops. Someone I was riding the bus with told me that our mobile devices are made for consumption, and not creation. This would be the best lesson I learned at CES 2011. With this being the first year of the iPad, mobile companies need to find out better ways for people to be productive on the road. Perhaps this will be what we will have by CES 2012 with all the tablets that were unveiled over this year’s convention.